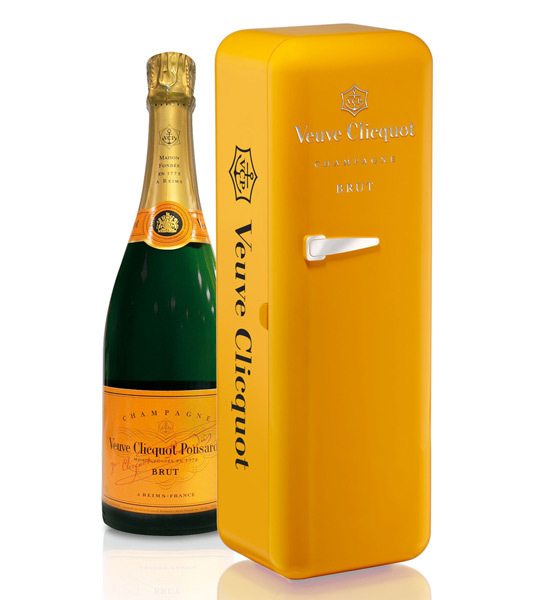 If you prefer your champagne chilled in a more traditional way – try the Veuve Cliquot fridge – a cute mini american 50’s style fridge the perfect size for one bottle of brut or rosé (pink fridge for that one if you please) guaranteed to keep your Veuve chilled for a least a couple of hours – that’s one for the beach then. 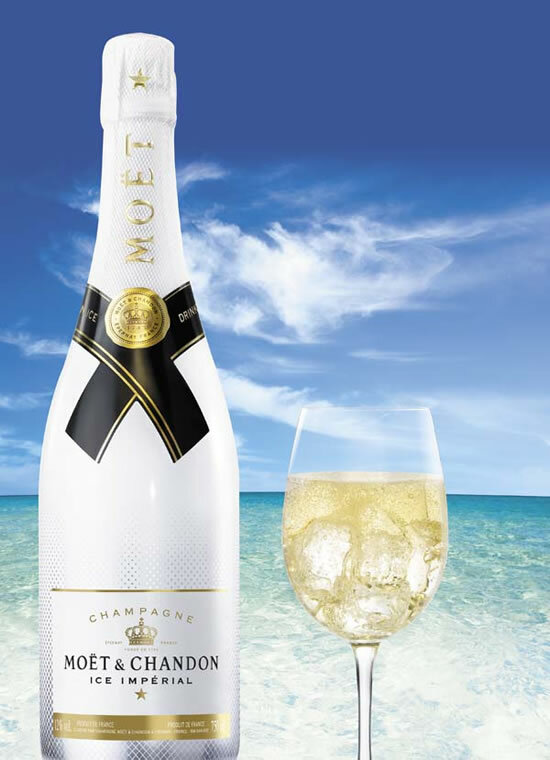 And talking of Americans in Paris……. Bordeaux blonde loves Paris in August, the place is empty except for tourists, it’s easy to get a table at most of my favorite restaurants and you can even go to the beach ! A wonderful bolt hole is the Relais Christine, a boutique hotel parts of which date back to the 13th century but protected from the bustle of the left bank in a discrete road and behind a beautiful courtyard. 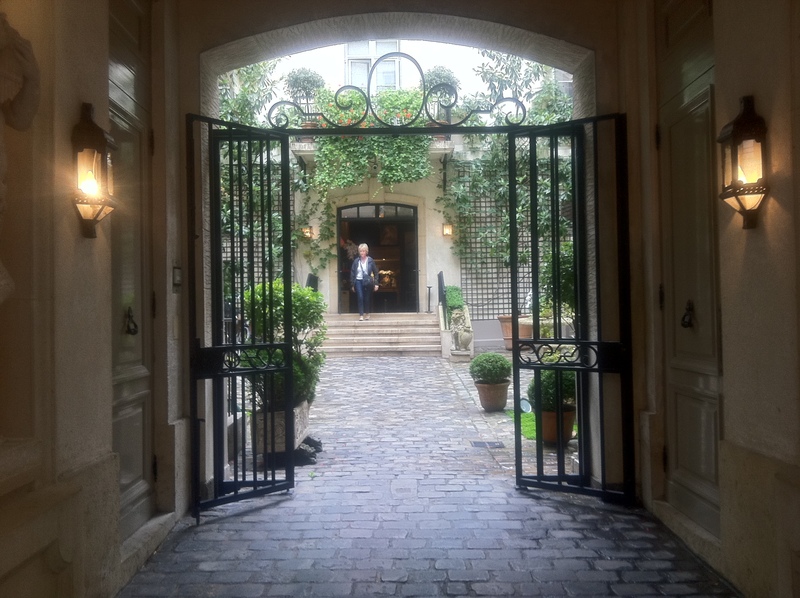 Welcoming and polite staff, a lovely lounge with a honesty bar and friendly but discreet patrons who obviously love the place and concierges that seem to know everything about Paris. If you’re feeling brave, and again quiet August would be a good time, use their tiny soft top smart car or bicycles to discover the city or just relax in the surprising city centre garden. 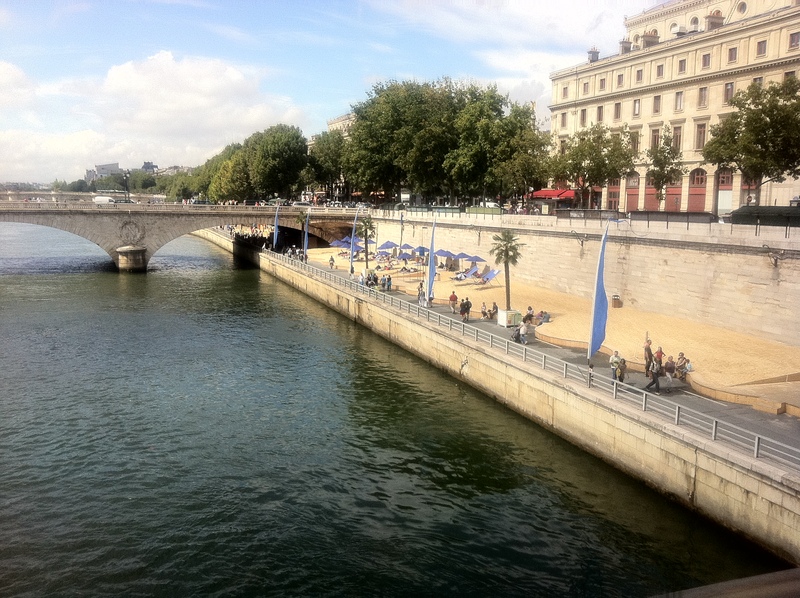 An American in Paris – well his cars. What better way to spend a rainy summer afternoon in Paris? How about a guided tour of the amazing Ralph Lauren car exhibition at La Musee des Arts Decoratifs (part of The Louvre). Bob Dover, British car industry doyen, Chairman of the Heritage Motor centre in Gaydon and director of the Jaguar museum in Coventry has driven most of the cars on show and his first hand insights made the tour. If you can drag yourself away from the cars, don’t miss the film about Lauren’s renovation of the Alfa – the perfect mix of fast cars and fashion! Proof that industry and art can come together.